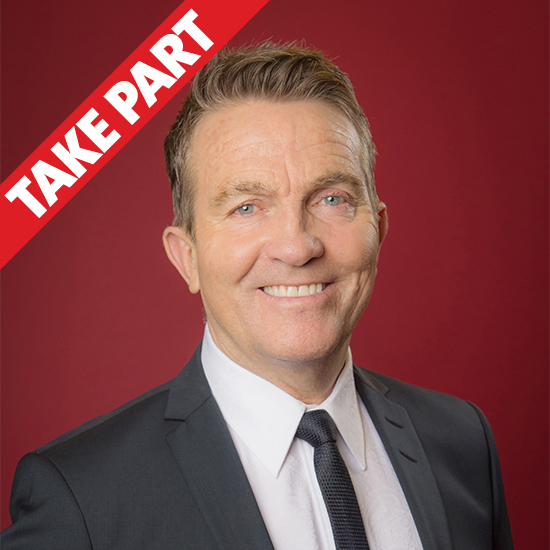 Would you like to secretly nominate a family member or friend for a fun surprise on a new Saturday night entertainment show with Bradley Walsh for ITV? Get in touch if you know someone who is fun, outgoing and up for getting involved in our studio games alongside our brilliant celebrity guests! Plus amazing prizes can be won. To apply for this casting opportunity please login and use the form below to submit your interest. Please note that by clicking 'APPLY NOW' you are giving your consent for us to pass on your name, age, e-mail address, telephone number and photo to the production team for this show. Please sign in or create an account in order to apply for this casting opportunity.